Biggest strength in 2016: The theme of the 2015 Red Flash season had to be defense (almost) wins championships. With one of the top-rated defenses in FCS, St. Francis had a season to remember, securing their first winning season since 1992 and coming oh-so-close to winning their first NEC title and FCS playoff appearance. There’s every reason to believe that the Red Flash’s strength will carry over into 2016, too. The top-rated defense in the NEC boasts the return of nine starters, including S Lorenzo Jerome. The Sunrise, FL native was third on the team in tackles last season (58) and tied for the team lead in interceptions. Biggest Challenge In 2016: The biggest challenge for a team that enjoyed its last winning season since Bill Clinton was president is to simply take that final step – to become a championship team, to win games when you are the hunted instead of the hunters. The task this St. Francis (PA) team accomplished last season was a thing of beauty. But they need to learn how to replicate that beauty over consecutive years. 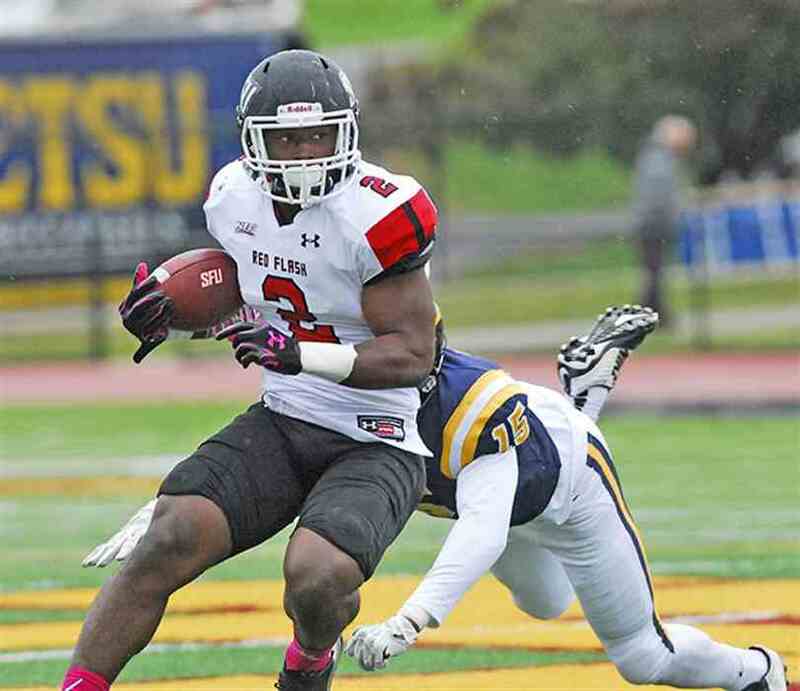 Players To Watch: …however, the Red Flash already have a pretty good back to step into the role of primary rushing threat, RB Marcus Bagley (626 yards, 2 TDs). The 5’11, 230 lb Bagley should take the majority of the carries, and RB Byron Johnson, with only four carries last year, slides into Bagley’s spot. The Red Flash’s out-of-conference schedule is nothing short of brutal, starting with a trip out to Missoula, Montana to face off against the Griz of Big Sky fame, followed by three more road games vs. Towson, Columbia, and Albany to further battle test the Red Flash. So it’s critical that Villareal’s team, right after a trip to nearby Robert Morris, that they come away with the revenge game here in mid-October. St. Francis (PA) In Two Sentences: Don’t kid yourselves; St. Francis is a long way from the Noughties, where the Red Flash couldn’t string together more than 3 wins in a single season. But that brutal early game stretch – and a possible championship game on the road vs. Duquesne – seems to indicate the Red Flash could be second bananas again.